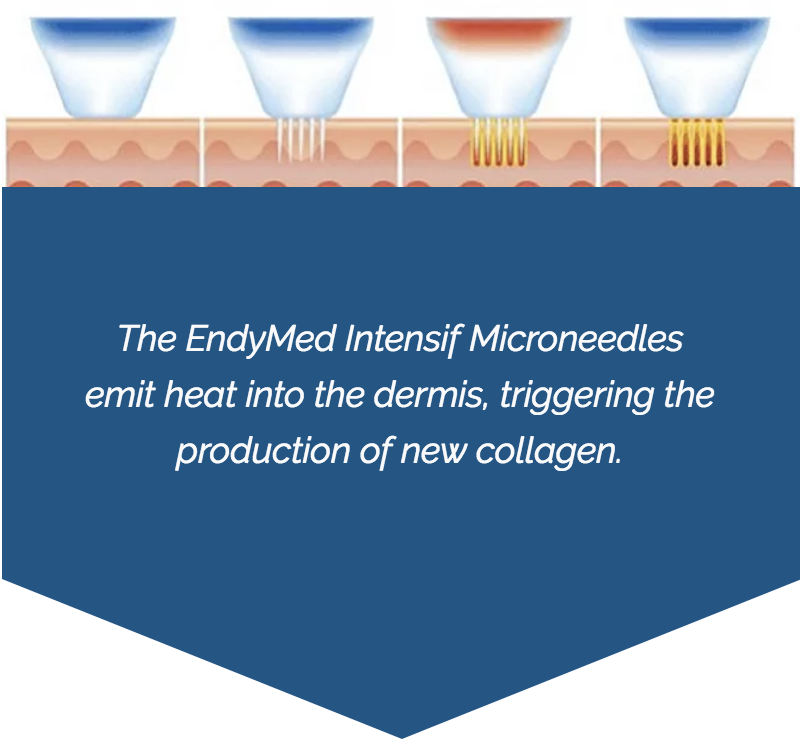 Endymed’s new revolutionary technology, Intensif, enables the most safe and effective method to stimulate the natural production of collagen and elastin to rejuvenate the skin. 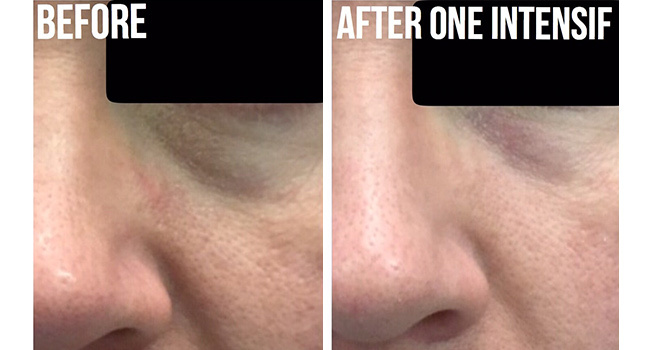 The Intensif module applies an array of micro-diameter needles to safely and effectively deliver focused RF energy deep into the dermis, providing a revolutionary collagen remodeling solution for all skin types. 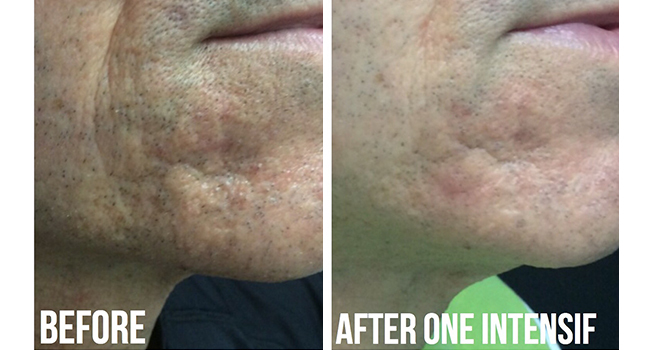 Just the same, if not better results than Fraxel or CO2, without the downtime! 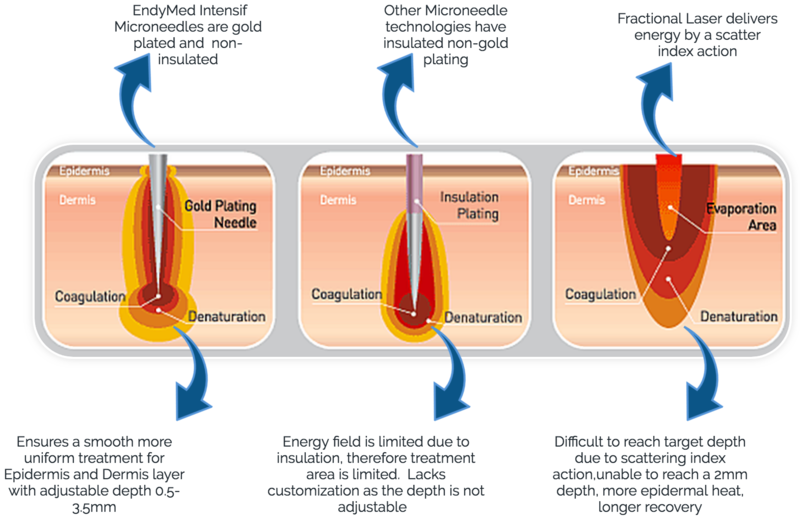 The sterile, high quality, gold plated micro needle cartridge is placed on the skin surface. The tiny tapered, microneedles (300micron thin), smoothly penetrate the skin using the shock-free motion needle insertion mechanism. Depth of insertion (0.5-3.5mm), energy delivered and the length of time energy is released are all adjustable, ensuring customization of all treatments. 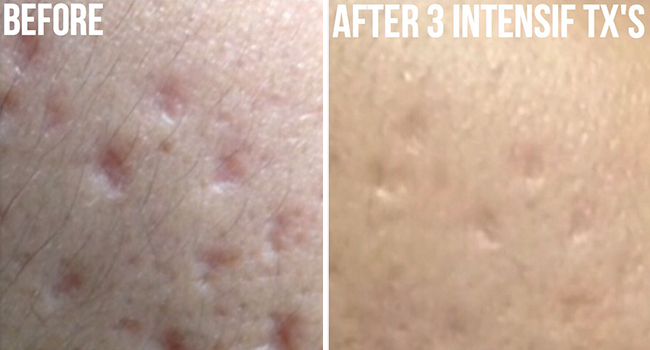 The fractional pulse mode delivers RF energy in a micro pattern into the dermis. Allowing a more uniform distribution of energy resulting in more effective volumetric heating of the skin providing better results. * Most of the energy is delivered directly into the inner layer of skin, therefore there is minimal downtime and normal activities may resume immediately after treatment. 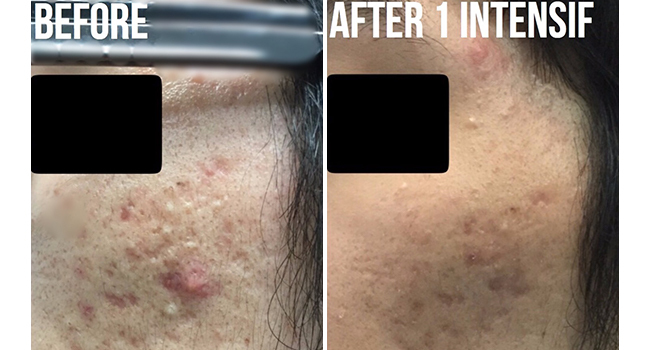 Download pre and post treatment instructions for Intensif: here. If you’re interested in non-surgical skin rejuvenation, book a free consultation at Fresh Laser Skin Studio in NW Calgary today! All treatments are customized and a complimentary consultation is recommended to determine your best treatment options. You can get started by clicking through the form on our site or by giving us a call at (403) 264-4494.